Webscale IT is built on the tenets of programmability, abstraction, open interfaces, automation and agility – and applying those tenets to networking enables you to take an innovative approach that lets you focus on the user experience, security, and delivering performance at scale. This white paper explores how to execute networking at webscale so that you can position your network to support your business as it grows. 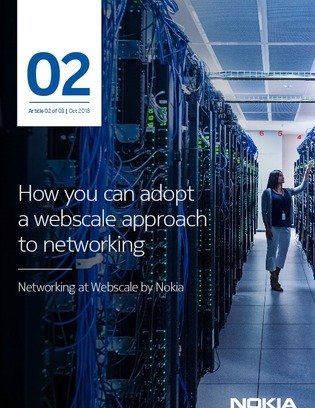 Find out what factors enable webscale networking, including SDN and insight-driven automation.